Lantek, leaders in the development and marketing of CAD/CAM/MES/ERP software solutions for the metal industrial at worldwide level, foresees a 16% increase in its billing in 2016, reaching a turnover of close to 18 million Euros. 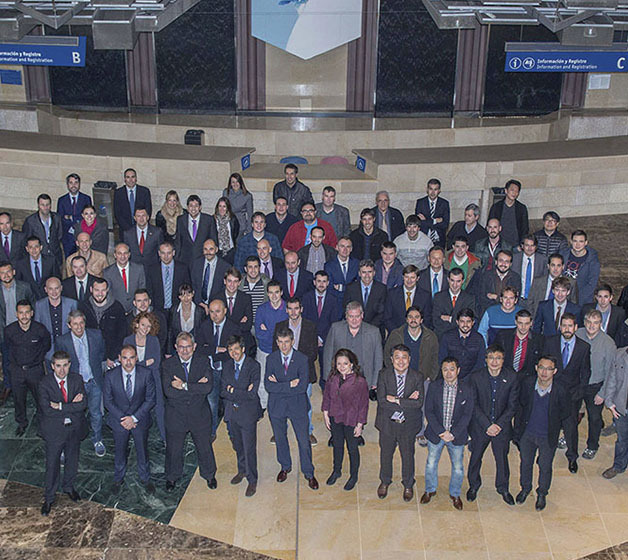 This is one of the main conclusions drawn from the International Meeting 2016 of the multinational that has just been held at the Fair and Congress Centre of Malaga, with the participation of almost one hundred people, including technicians and commercial representatives from Lantek’s offices in 15 countries all over the world. At this first meeting of the year, the 2015 results were also offered, which showed that the company had increased its turnover by 10% with respect to the previous year, with a total figure of 15.5 million Euros. For Alberto Martinez, CEO of Lantek, “these results confirm the excellent health of the multinational with two financial years of important increases in turnover”. Martinez has highlighted the international nature of the organisation that bills 88% of its business outside Spain, with quite outstanding figures in countries such as Italy, Germany and South Korea. “In 2016 we hope to also add the USA office to these outstanding markets within our network, as we have perspectives of an important increase in sales there. Undoubtedly, the majority of our success lies in our commitment to export our products wherever there is a potential demand, thus increasing our competitiveness. In fact, we already have customers in more than 100 countries”, underlines, the top director of Lantek. The Malaga congress has afforded the Lantek team first-hand knowledge of the extraordinary evolution of the Solutions area, which has undergone an increase of 43% with respect to the previous year, already representing 16% of the company’s final turnover, with more than 2.5 million Euros. The CAD/CAM area has recorded a more moderate growth of 5%, but it represents 84% of the business with more than 12.9 million Euros. The Lantek strategy for this new financial year will focus on 4 important aspects: Technological development, internationalisation, specialisation and the search for new market niches. As Alberto Martinez set out at the closing day in the Auditorium of the Picasso Museum, “we are one of the main driving forces to make advanced manufacturing and industry 4.0 become a reality. We believe that we always have to keep ahead of our customer’s expectations and requirements, and that is why we work every day to provide new solutions that will solve their current and future challenges”. In terms of machine-tool manufacturers, Lantek provides them global deployment capacity with local support anywhere in the world and its CAD/CAM software portfolio, the most advanced in the world, that is able to manage any machine and technology. In 2016, Lantek will continue driving its objective to be leaders and a world reference in software solutions for the metal industry and metal structures. Thus, the multinational, with headquarters in the Basque Country, has planned to open a new office in the Arab Emirates, strengthening its presence in the Middle East.